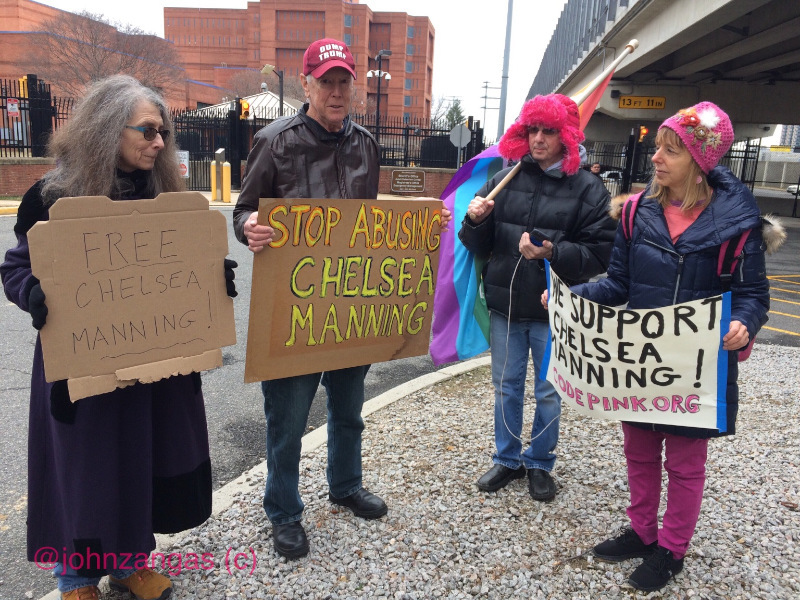 This could well be a deliberate attempt by the thugs holding Chelsea to break her morale by holding her incommunicado as long as they can. 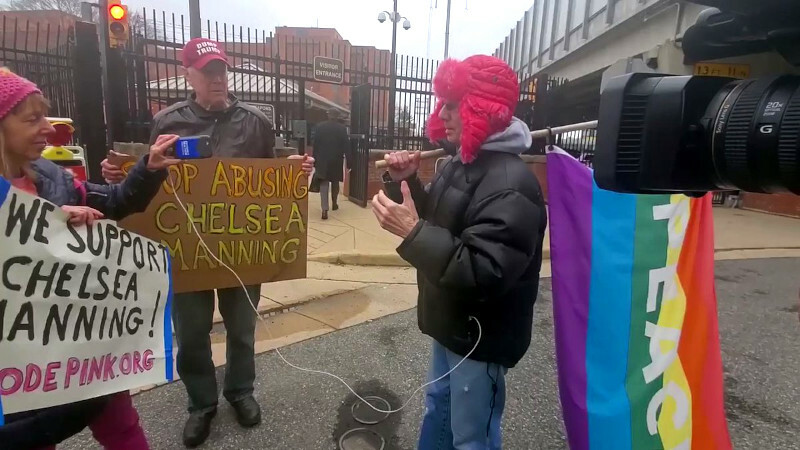 Protesters were told Chelsea is in "a cell on her own" potentially implying solitary confinement. When asked where she is going next the guards said "that's classified." When asked is she being treated well, they said "we treat everyone here well" which of course is a total lie in any jail or prison.